Based near Richmond in North Yorkshire, we offer a consistent high quality product, the convenience of online ordering, a friendly and efficient delivery service and the best possible value. 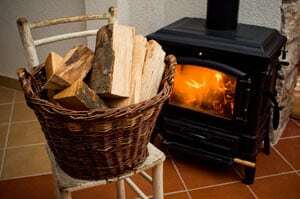 All our logs are hardwood, sustainably sourced, suitable for stoves and open fires, below 25% moisture content and delivered for free within our area. 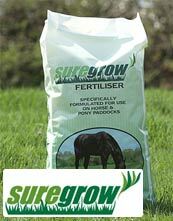 We also stock a range of other useful products in our online shop. We try to source as much of our wood as locally as we can, from our land-owning clients, our own woodlands and through working with Yorkshire Woodland Management http://www.yorkshirewoodlandmanagement.co.uk/ run by Ed Staveley and based near Ripon. We also import kiln dried wood from sustainable sources within Europe. This allows us to manage our stocks and balance supply for the benefit of the consumer as well as the environment and sustainability of British woodlands. Darlington, Richmond – North Yorkshire not London, Catterick, Leeming Bar, Middleham, Northallerton, Leyburn, Thirsk, Masham, Bedale, Rion, Yarm, Hurworth, Croft on Tees, Scorton, Brompton on Swale, Burneston, Kirklington, Catterick Garrison, Middleton Tyas, Crakehall, Harmby, Ravensworth, Gilling West, Aldbrough St John, Melsonby, Morton on Swale, Meeling Bar, Wolsingham, Tow Law, Esh Winning, Ushaw Moor, Brandon, Brancepeth, Frosterley, Crook, Willington, Bowburn, Ferryhill, Coundon, Witton le Wear, Middleton in Teesdale, Woodland, Cockfield, Evenwood, Shildon, Trimdon, Sedgefield, Barnard Castle, Staindrop, Middlesbrough, Newton Aycliffe, Bishop Auckland, West Auckland, Spennymoor, Sedgefield, Durham, Great Ayton, Guisborough, Stokesley, Ingleby Barwick, Stockton-on-Tees, Wynyard, Billingham, Eaglescliffe, Sadberge and Middleton St George.